I have 1 bedroom available in a very clean 3, bedroom apartment. The complex right next to Diamond Bay reserve, just on the very short corner on the street. What I love about this area is, The beautiful coastal walk to Diamond bay reserve . No smoking in the house, I have an indoor cat, I ask that you please be mindful not to leave doors open. I am looking for a very clean and tidy responsible, person who is easy going and clean, I am not a messy person, i would like the person who shares with me to also be considerate with cleanliness. please text or email your interests and more about yourself, so we can set up a time to meet. The rent is to be paid each week,in cash .No bond required as most places request. I will request 2 weeks rent upfront upon move in date and thereafter each week. Couples are welcome, additional cost. Room is private furnished with everything you need. Swimming pool will be available for you to use as well as our double garage we share. Coastal walk to Watsons Bay is behind the complex. Bus stop 2 min. walk. We have beaches you can reach by walk in the area. Bondi Beach is 15 min by bus. All Bills are included in the rent. We have two rooms available in this secret spot right next to beautiful Parsley Bay. We are a 20 second walk to the beach, yet hidden away within the palm trees. Both are very large, queen size rooms. - Room #1 opens out onto a balcony that overlooks the sea and also has its own private sun room attached to the room. (Potential ensuite bathroom for this room - negotiable). - Room #2 opens out onto the swimming pool and garden area. The detached property has a swimming pool, garden and a brand new kitchen. 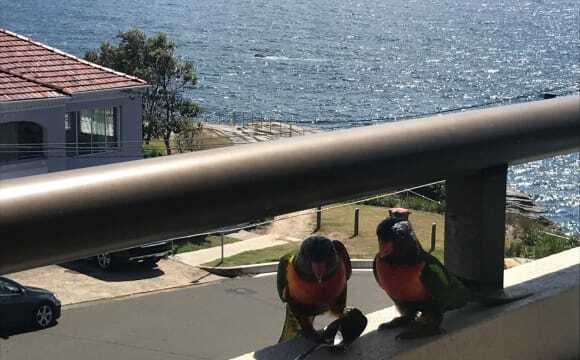 Distances: 20 seconds to beach 1 min to bus stop 10 mins to Watson Bay Ferry We're looking for someone friendly who is up for a house meal night or game of cards every now and again. We respect each others' space and private time, but we all get along and have a great atmosphere in the house, so it would be good to get someone who is looking for the same. 1 massive room with built in wardrobes available in a 2 bedroom townhouse with your own bathroom. The room is large and has a built in wardrobe for clothes and it's own private bathroom. - Renovated bathroom, main with separate shower and bath - Impressive kitchen with Smeg stove - Fitted media desk, guest WC, internal laundry/utilities room - Open plan layout featuring generous lounge &amp; dining spaces. Immersed in a peaceful and secure coastal setting, this light filled townhouse combines stylish contemporary design with well-scaled interiors opening to private courtyards at both the front and rear. It is part of the community-oriented complex, where a wonderful lifestyle awaits just metres from Diamond Bay Reserve. Offering two levels. We are part of the enclave of Vaucluse near the cliff tops, parks with relaxing views and near the sports fields with a short walk to the shops and cafes and public transport. The room is large with a good reception for unlimited internet. There is plenty of on street parking in a lovely quite area. We are clean, tidy and respect other people's space. There is an outdoor area to sit and relax. If you enjoy a BBQ, there is one available. There are two rooms available. the larger also furnished with a queen size bed suiting either a couple or single person. This is one of the Eastern Suburbs nicest areas. It’s walking distance to shops, cafes, public transport, parks and even beaches. It’s safe and clean! Enjoy the amazing harbor views from our balcony and a huge land area where you always have a place to park your car. The living room is really big as well and is where we gather most of the time, play video game, musical instruments, and watch movies. The place is great! 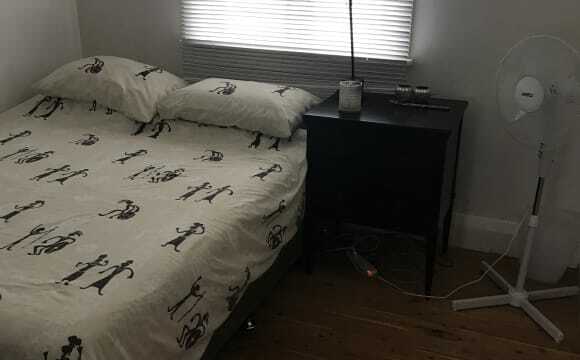 Couples and professionals are welcome.Double room available for a couple or a single in beautiful flat in Vaucluse in military rd just up the road from NORTH BONDI! The room comes furnished with queen size bed, side table, built ins wardrobe and more. Looking for someone staying for a long term period and willing to share with and late 20s individuals that enjoy the quite life of vaucluse. 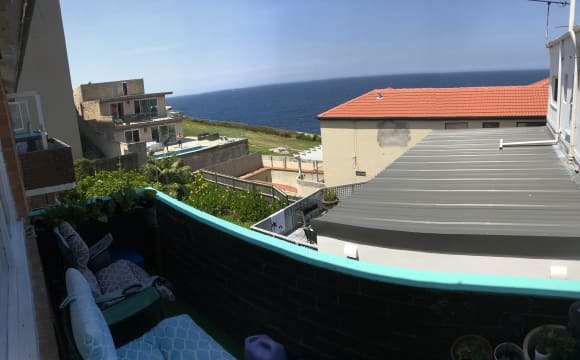 Located at 2 mins from the diamond bay coastal walk the place offer bus stop to bondi jtc / city / whatson's bay a the door step. Nice kitchen and big living room with balcony. Foxtel, smart tv and Netflix account, unlimited wifi some of the features. This massive room is available from the 8 o November. Come check it out! No drama place! Spectacular and large 2 bedroom apartment on the ocean at Rose Bay/Vaucluse with direct views of the Sydney Harbour Bridge and Opera House. Beautifully furnished throughout. Large balconies with lots of sunlight. Plenty of parking on street. 2 bathrooms and 2 good sized bedrooms with built ins, BBQ. Close to buses and ferries direct to the city. Also close to beautiful beaches, harbour reserve walks and amenities such as cafes, restaurants and shopping. High speed internet and for those TV aficionados I just bought a new 55" smart TV with HD Netflix and HD Stan! 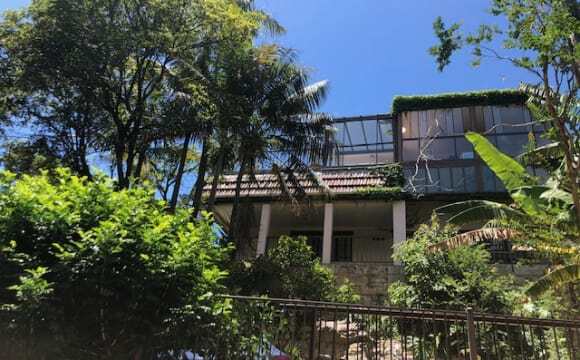 Located in Rose Bay North Village which is situated right between Rose Bay, Watson’s Bay and Bondi Beach, there is a coles, shops, cafes/food and buses right out front. The apartment is newly furnished with appliances and homeware, 1 of only 8 in a small block, facing away from the street, common garden area with rear gate access to the street behind which has untimed parking available. The best thing about this home is that it is on the dog beach at Rose Bay. It is very quiet other than the lapping of water. You can swim right out the front or just sit on the lawn and enjoy a BBQ or read a good book. 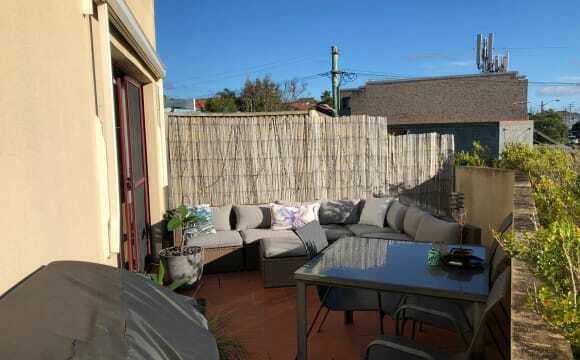 Its close to shops and direct ferry or bus into the city or Bondi Junction. Great central location .fantastic coastal walks .Quiet residential area. Ferry wharfs very close to all locations in Sydney harbour. Bus stop just 5 minute walk to rose bay ,to bondi, to bondi junction . Plenty of restaurants ,cafes ,bakery and coles supermarket very walking distance. close to bondi beach and harbour beaches like camp cove ,neilson park, lady jane beach and more . Views from the apartment and balcony are amazing. whale migration is around the corner and can often be seen form the balcony. Large furnished sunny private room with queen bed, rack, wardrobe and large flat screen TV. Apartment is clean, has a good sized verandah with barbecue overlooking a beautiful view. Gas stove kitchen, separate dining and living room with Netflix. Renovated shower, deep bath and separate toilet. One minute walk from shops, cafe's, bus stop and local beach. 5 minute drive to Bondi beach. 10 minute drive to the city. Rent includes unlimited internet. 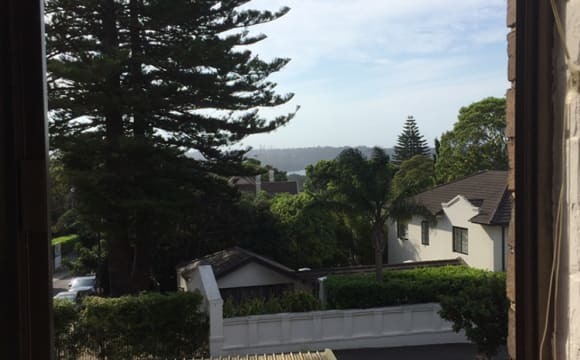 3 bedroom apartment situated in the beautiful suburb of rose bay. Right in front of the rose bay marina. Easy walking distance to rose bay ferry, bus stop at your door step, walk to shops and local restaurants. The bus go straight to the city and edgecliff station that takes you basically everywhere you want to go. The apartment is spacious and the lay out gives privacy as the rooms are well separated. It is beautifully furnished with wooden floor boards lots of windows for circulation, marina and harbour view in the balcony and main bedroom. Unlimited wifi, flexible with furnishings (queen bed incl in the room but let us know if u dont require). Separate toilet and bath over shower. Easy to use kitchen. 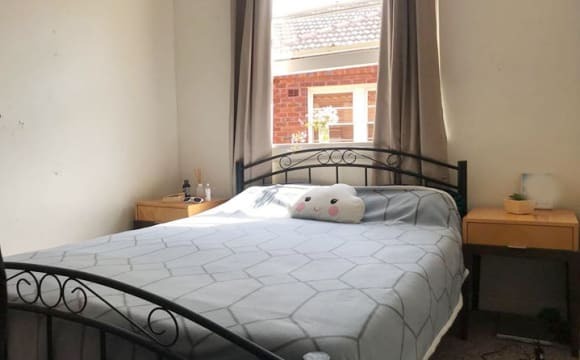 Move in date is 30th of April 2019 but flexible (after the move in date) for the right person. Flat with large private garden around the corner from the shops, public transport (bus stop at the end of our street + 10 min walk to ferry which goes direct to the city). Lovely quiet and very safe neighborhood on a leafy street. Close to local beaches; Milk Beach, Camp Cove, Rose Bay Beach. North Bondi 15 min walk. Large double room, built in triple wardrobe. Bed and bedside tables provided. High speed broadband internet included. Townhouse is also pet friendly with our large private and secured garden. Pm to set up a viewing ! Two large private rooms available in an awesome location available for immediate move in. Master room $290. Smaller room $275 per week. Flat with large private garden around the corner from the shops, public transport (bus stop at the end of our street + 10 min walk to ferry which goes direct to the city). Lovely quiet and very safe neighborhood on a leafy street. 5 minute walk to local beaches; Milk Beach, Camp Cove, Rose Bay Beach. North Bondi 15 min walk. Large double room, built in triple wardrobe. Bed and bedside tables provided. High speed broadband internet included and this is a pet friendly property with our large outdoor garden. Pm to set up a viewing ! 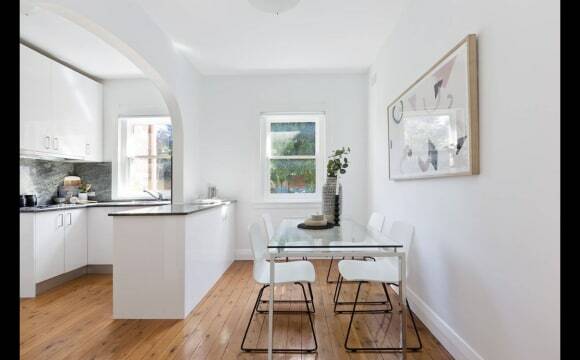 It’s such a perfect location- only 5-10 minutes from Bondi and then trains and buses to the city opposite to the flat. We have a bottle shop over the road with coffee shops too. The supermarkets are just down the road as well! The flat is tidy and fully furnished with everything you need. Looking for a new member of our crew!!! Move in date between the 14-20th April. The room is fully furnished and ready for you to move in, double bed and a massive built in wardrobe. With lots of natural light. The house has 2.5 bathrooms, you will be sharing the main bathroom with one other person The house also has a laundry room, fully equipped kitchen with every appliance plus dishwasher, dining area, huge living area with Apple TV and Netflix, two balconies one downstairs that can be used for entertaining with a BBQ. There is also a secure garage under the house and the house is fully secured. The 380 bus stop is located right outside our house if you need to commute to Bondi, Bondi Junction and the city, there's also the 364 stop 2 minutes away where you can catch the bus to Edgecliff station. Bondi Beach and Rose Bay are also a 15/20 minute walk away. Dudley reserve is a short walk away where you can see awesome views of the city! Rent is $350 a week with all bills included, except internet which is $12.50 a month. NO COUPLES - 6 MONTH MINIMUM STAY! Living with myself and my partner and one other girl. If you would like to come view then holla at me! 🙋🏽 Can you post that on your lunch. And I’ll do the flatmates one! I live in a Fabulous Lifestyle location! Opposite Sydney Harbour Rose Bay, Eastern suburbs. Moments walk to Ferry, Harbour Beaches, Sailing Clubs, Golf Course, Tennis Courts, Restaurants Cafes, Shops and Entertainment. Seeking a career minded Professional 30's plus, whom prefers a homely, secure friendly living environment. Non Smoker,House-proud Uncomplicated , Proactive toward shared housekeeping , Pays Rent on time. Understands sharing etiquette and respect toward a home and its possessions. (Also suitable for Professionals commuting to Sydney weekly for work and returning home on weekends or a Busy Professional where their job requires them to be away often.) Room is Medium in size, Fully Furnished, bright with plenty of natural light,Timber Blinds with a Leafy outlook. Furnished with Double Bed, Drawers and Wardrobes. Bills are weekly additional, Internet, Gas, Electricity and House Kitty which covers all common used Household items. Myself, friendly, easy going, respectful non smoker, uncomplicated :) As as busy working Professional, I do prefer and enjoy a secure living space. Interactive with flatmates, mindful of and Respect others down time. Looking for similar in a Flatmate, whom also is comfortable with No open house or random short stay overnight guests. Please DO NOT contact me if this is not agreeable. This area has ample venues for entertainment and socialising. Some interests, health practises, fitness, Boot camps :),dance, personal development, crystals, aromatherapy My Apartment is in a small well maintained Art Decor quiet Block, Clean nicely styled and furnished, with plenty of natural light. Washing facilities inside with downstairs clothes line in garden. Transport is easy access to City and other Suburbs, Bus and Ferry moments walk away or Train ten minutes. The Local area offers a variety of outdoor activities, Sydney Harbour Beaches for Kayaking Sailing and Swimming, Tennis courts and Golf, Parks, Cafes, Restaurants, Sea planes Depot and Rose Bay Shopping Village. Cosmopolitan Double Bay a short distance away with Entertainment Dining Shopping and more. References from previous rentals or shares, I do request, due to previous frighting experiences, undisclosed mental health condition and rent issues NO TRAVELLERS or Students please. Thanks for reading. I do have a busy schedule, Please IF YOU HAVE NO LISTING INCLUDE YOUR DETAILS . Intro summarising your Profession, Age, move date availability. Please reply through this website initially as I DO NOT RESPOND TO PRIVATE EMAILS . Big House , two rooms available, one now and the other one in May. We are blessed with some harbour view and swimming pool , nice garden with BBQ, Gym epquitments for outside activities, we all like sports! Lovely kitchen, projector in the lounge room, Wi-Fi, netflix, two toilets, garage, space for storage, fully furnished , all bills included and two weeks bond. Everyone here is a full time working. The beach is down the road "bondi beach" , Coles near by, petrol station and cafes, restaurants. Beautiful location, lovely sunsets :) Please text me to visit it 😊 .